Dublin’s cost of borrowing reached record highs this week, and the state is predicted to run out of the cash it needs to fund public services early in the New Year. Ongoing budget wrangling between the two coalition partners, Fianna Fail and the Green Party, has emphasised doubts that the 26-County administration can prevent an economic implosion in January when it is required to again raise funds by selling bonds on international markets. Accepting the bailout -- effectively a declaration of national bankruptcy -- would spell the end of the state’s economic sovereignty, but would at least ensure that public services could continue to function and finally bring the state’s spiralling cost of borrowing under control. 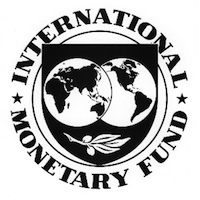 At the weekend, senior government economist Colm McCarthy warned that the International Monetary Fund could be running the 26 Counties by February. Mr McCarthy says “the game is up” if the budget on December 7 fails to deliver “which means an IMF/European bail-out and economic policy dictated from outside the country for the first time since the State was founded”. Burdened by the escalating cost of the bank bailout, the scale of the budgetary crisis has now almost overwhelmed the “front-loaded” four-year super-budget of 15 billion euro planned by Taoiseach Brian Cowen. And despite some expressions of support by the main opposition parties, expectations are low that the budget will be implemented, even if it is passed by the Dublin parliament, in the face of public opposition. McCarthy warns that the state’s cash reserves will run low by next spring, unless it re-enters the bond market to borrow up to five billion euro. “Realistically, the government needs to do this in January or February at the latest,” he said. Fianna Fail has repeatedly ruled out raising funds from Ireland’s wealthy and super-rich, who benefited most during the asset bubble, and who still enjoy a privileged position in Irish society. Cowen’s reluctance stems from the fact that most of Ireland’s millionaires secured their wealth in the bubble economy and many are thought to be privy to information which, if leaked to the media, could lead to charges against a range of senior Irish political figures. Instead, Cowen and his allies in the Green Party have continued to argue over which vulnerable sections of the population can be squeezed for new cuts, taxes and charges. Students are currently to be in the coalition’s cross-hairs, with a controversial doubling of university fees planned, as well as the near elimination of assistance for disabled students. Meanwhile, a third referendum on the Lisbon Treaty could yet be required in the 26 Counties following a decision of Germany’s Angela Merkel to require greater legislative certainty for the bailout scheme. The current EU bailout fund is due to lapse in 2013, and the Lisbon Treaty must be modified by then, potentially triggering a third referendum in Ireland. In particular, Germany has sought to suspend the voting rights of states which breach deficit and debt rules -- a situation which could see the Dublin government denied any input in Brussels. Speaking at the launch of Sinn Féin’s budget proposals today, Gerry Adams said his party had a “better, fairer” way to deliver economic recovery. Sinn Féin is proposing a 7 billion euro stimulus package to create jobs, alongside a plan to reduce the deficit over a more realistic six year timeframe while protecting low and middle income earners. “Fianna Fáil and the Green Party have brought the country close to economic ruin,” Mr Adams said. Mr Adams said the 3% target of GDP being demanded for the budget deficit cannot be met by 2014, as the European Union demands. “The government is planning to take too much money out of the economy in too short a time frame and from the wrong places. It is not providing enough of a stimulus to ensure that the economy grows. Added to the above is the absence of any future vision for the development of the economy and more importantly society.